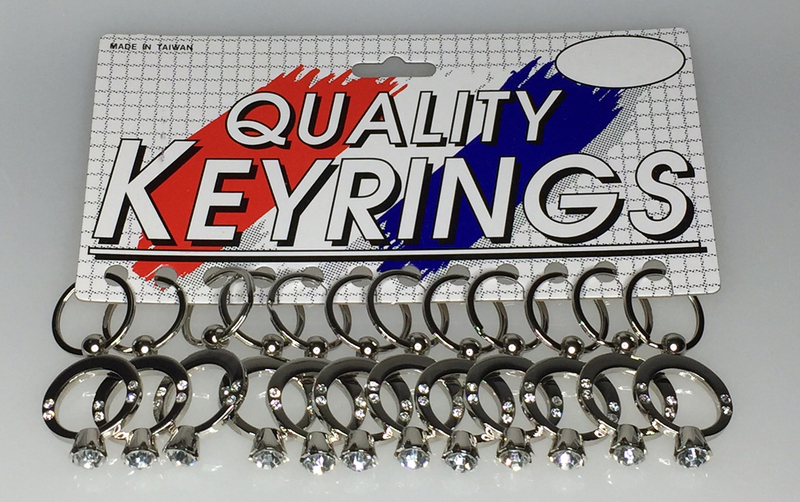 Our DIAMOND-LIKE Ring Key Tag is made from zinc alloy and is plated in shiny silver. 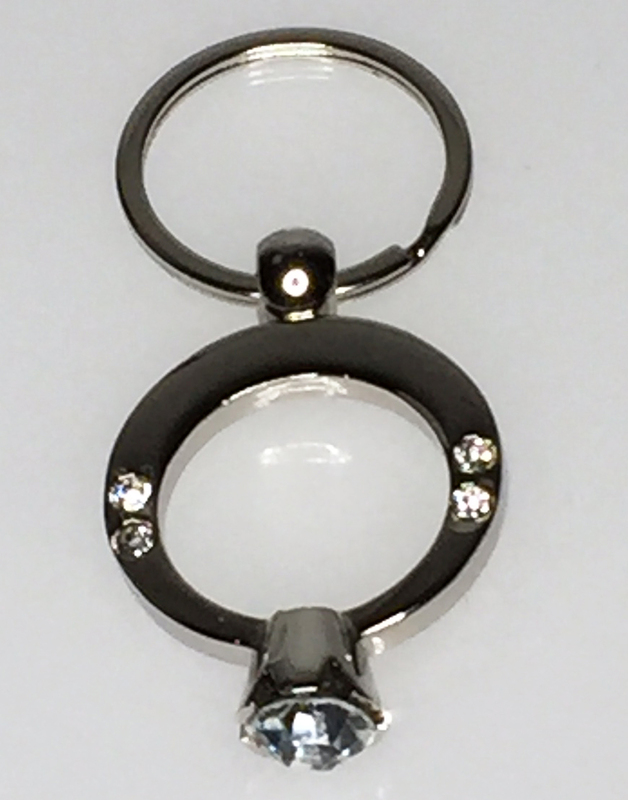 Each key tag has 8 small stones (4 on each side) and the one big stone in the middle. These measure 1 3/4" from top to bottom and are attached with a 360 degree swivel loop and 1 1/4" flat split ring. Available bulk.